IMAN Atlanta is primed to launch its first direct service as 2017 gets underway. 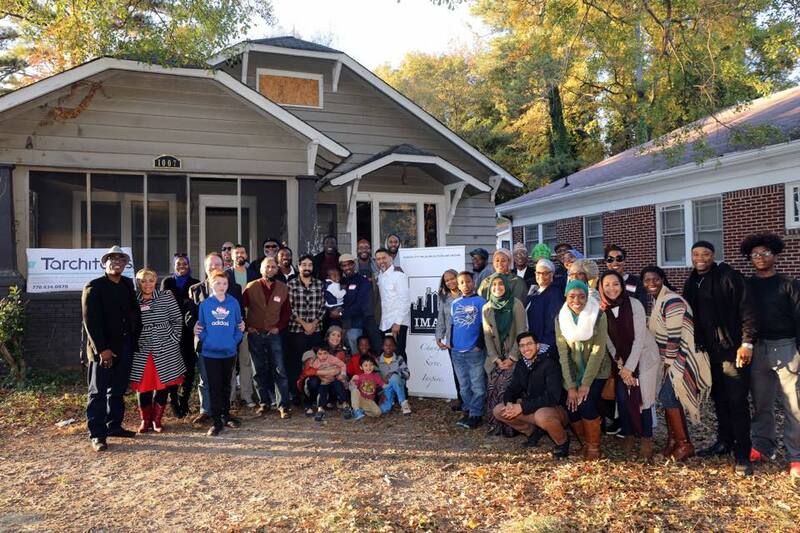 After months of preparation, fundraising, securing community partnerships and acquiring property, Green ReEntry will soon begin working with formerly incarcerated Muslim men in the ATL Metro Area. Participants will enter IMAN’s unique and holistic regiment of transitional housing, spiritual development, basic education, life skills instruction, on-the-job construction training, and job placement support. 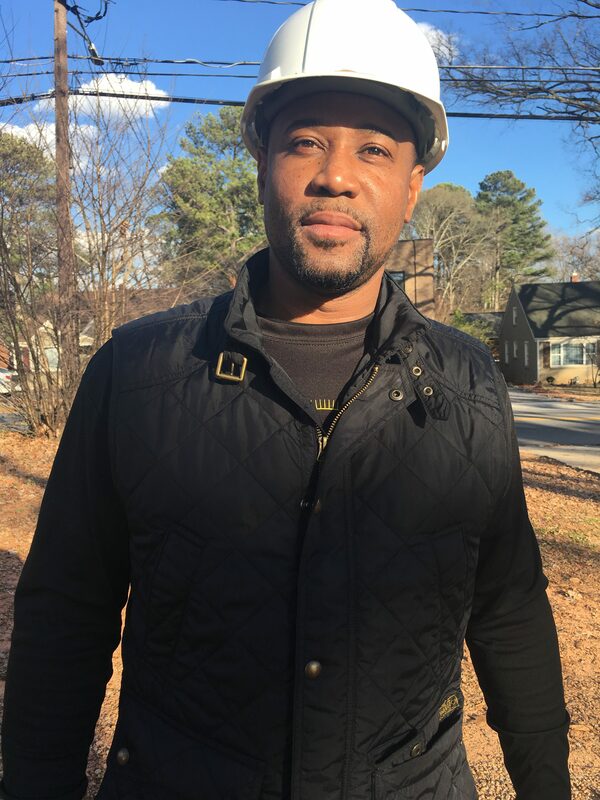 One of the newest additions to the IMAN team is Atlanta Green ReEntry Manager Jermaine Shareef, a licensed master plumber. Shareef embodies the model of transformation that the program seeks to replicate. As a young man, he was incarcerated for 9 years. While inside, Shareef was recognized as a model inmate: he dedicated his time to both self-help and helping others, took full advantage of his time, and earned various plumbing certifications. Shareef also owns his own plumbing company, Najee Plumbing, which is widely respected in the state of Georgia. No stranger to the IMAN ethos of relationship-building, he has also organized as a criminal justice reform advocate and a committed mentor to other men returning home from prison. Be sure to stay updated on the latest Green ReEntry progress and all IMAN Atlanta projects by following them on Facebook. 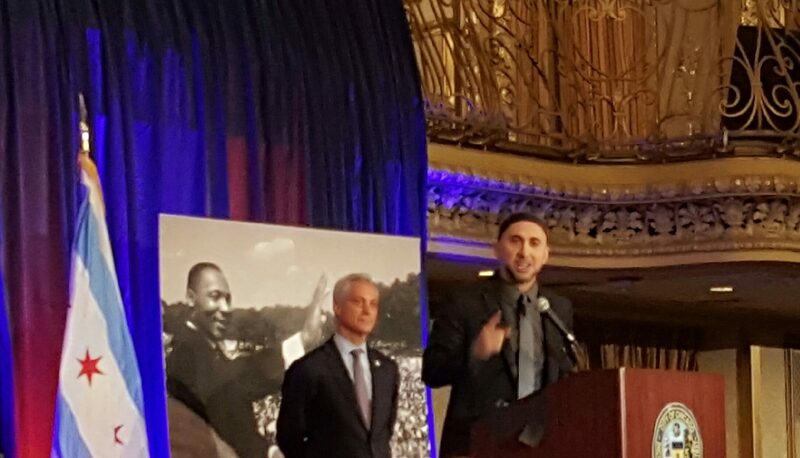 Amid applause from elected officials, long-time community organizers and fellow IMAN staff, Rami Nashashibi was honored as a City of Chicago Champion of Freedom during the Annual Dr. Martin Luther King, Jr. Interfaith Breakfast. His remarks connected King’s legacy to current police and criminal justice reform efforts, and encouraged organizers and officials alike to embrace the Department of Justice report released that same day as a catalyst for real change. Mayor Rahm Emanuel thanked Rami for serving as “an ambassador shepherding change”, and praised IMAN’s model of promoting health, wellness and healing in inner-city communities. The breakfast—hosted by the Office of the Mayor—was attended by leaders in various spheres of religious, civic and business life who represented a diverse array of backgrounds and faith traditions. Longtime Board Co-Chair Clyde El-Amin commented, “The fact that IMAN continues to receive broad-based recognition like this, particularly in these uncertain times, is a testament to how resonant the healing power of our tradition can be.” Only a few days later, IMAN was back to the grind: hosting an annual community luncheon of its own, and coordinating the inspiring Fighting Fear/Building Power two-city event. This MLK Day, IMAN presented its first two-city event, Fighting Fear/Building Power: Renewing the Call for a Beloved Community. Over 1,000 attendees gathered, forging new connections with one another and enjoying inspirational artistic performances. 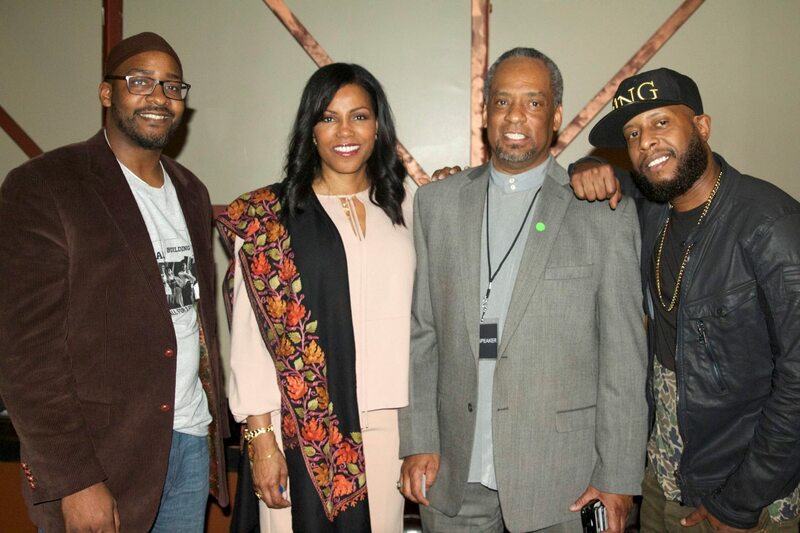 Appearances by Talib Kweli and Ilyasah Al Shabazz in Atlanta, and Jay Electronica in Chicago, helped rally the crowds. Newark, New Jersey and Los Angeles, California also hosted “Sister City Gatherings”, where allies live-streamed the events and engaged each other around ways to implement the call for justice. IMAN thanks Lead Sponsor, Marguerite Casey Foundation, and Supporting Sponsor, Zakat Foundation of America, for helping make Fighting Fear/Building Power possible. 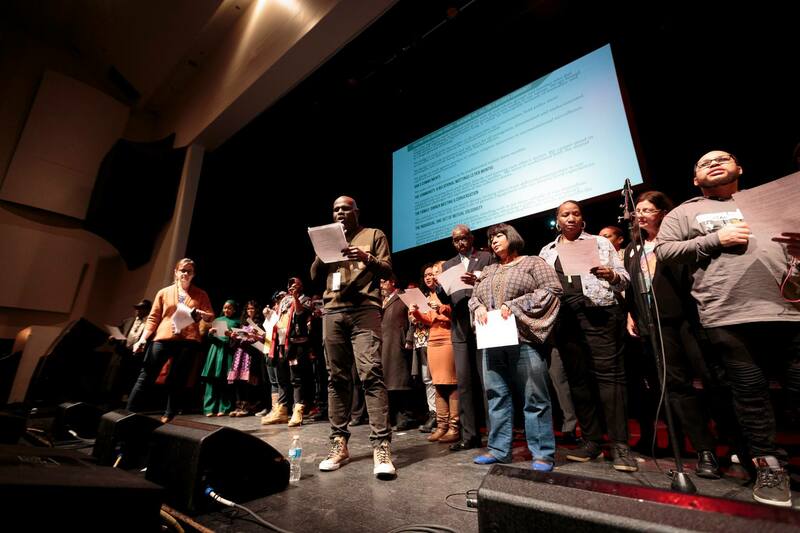 The climax of Fighting Fear/Building Power came as dozens of community organizations (over 50 alone in Chicago) united onstage to pledge their mutual support, solidarity and their re-commitment to the vision of Beloved Community that Dr. King put forth over 50 years ago. Particularly in Atlanta, this strong showing of broad-based allegiance served as public notice of IMAN’s deepening impact in the area. With capacity crowds in both cities also standing and making their pledge, coalitions were strengthened and spirits were lifted as we enter a new moment in our nation’s history. That morning was brightened by heartening displays of solidarity, generosity and hope. In Marquette Park, IMAN hosted its Annual Martin Luther King, Jr. Commemorative Luncheon for over 100 local residents. Guests enjoyed catered meals, opportunities for insightful discussion on the growing relevance of King’s vision for urban communities, and were presented with gift bags prepared by dozens of volunteers and longtime supporters. We are grateful to the United Congress of Community and Religious Organizations (UCCRO) and Equal Voice Network Chicago for co-convening such an inspirational event. Thank you to all guests and viewers who helped the #FightFearBuildPower hashtag trend on Twitter! Join the thousands nationwide who’ve decided to double down on the work of inclusion and solidarity, and sign the #FightFearBuildPower Pledge today!